I am a B-I-G Liberty fan - that is no secret! So when Alice Caroline put out an Exclusive Collection - this was just a natural addition to my collection and resistance - futile. 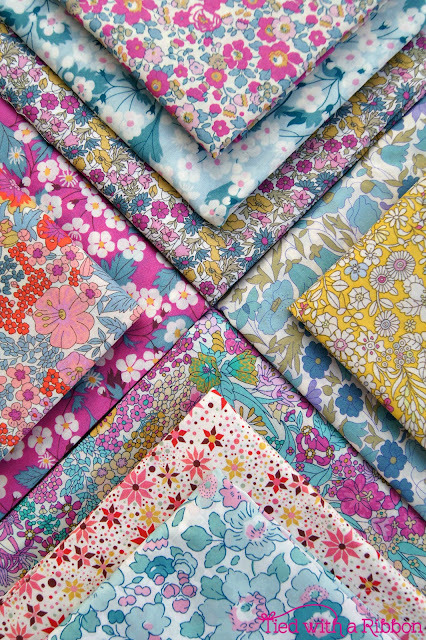 Alice Caroline has the most beautiful stocked stop with Liberty fabrics that just sing. I was so excited when this curated Collection by Alice was introduced as so many of my favourite prints were re-coloured and given that Alice Caroline magical touch. 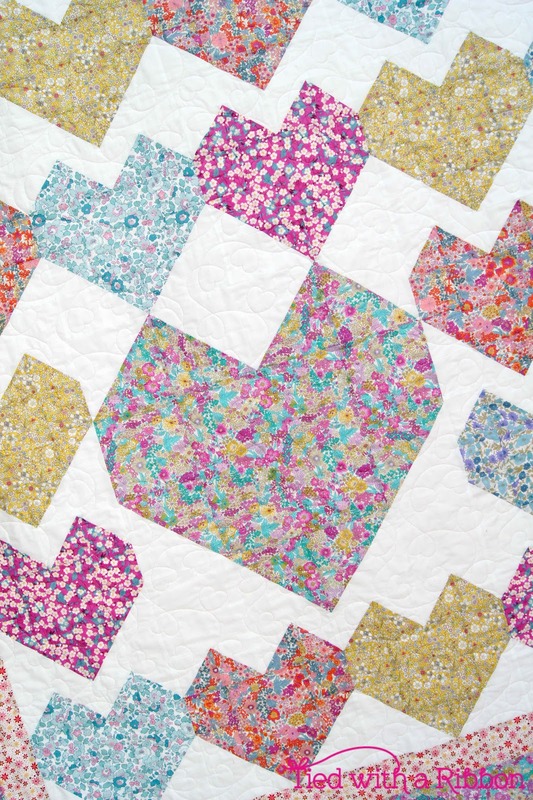 I knew immediately that I was going to re-make my Love Letters Quilt and feature that amazing Margaret Annie X - Turquoise and Pink for the main heart and border for this quilt. Who can resist a "snippy corner". I just love the colours in the prints and who well they all play together. These Classics prints in new colour ways - and that Mint Betsy - just exquisite. For the Background White fabric I also used Liberty Tana Lawn and it really helps the project all tie in with such a draped feel to the quilt. 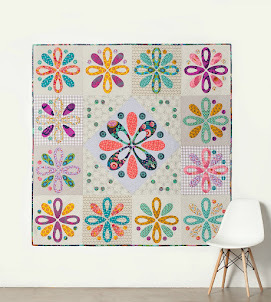 This quilt was just perfect to showcase these florals and how sweet they all work in together. GIVEAWAY - NOW CLOSED - Congratulations to Karen - my4lilgirls. Please email me at tiedwitharibbon@gmail.com to organise your prize. I also have for one lucky person a Fat 8th Bundle of these gorgeous Exclusives to giveaway from Alice Caroline Fabrics. To be in the draw leave a comment on this blog post. One comment per person and International entries welcome. The draw will take place at 8 pm (Australia WEST) on Monday July 17th 2017, at which time comments to this post will be closed. The winner will be announced by edit to this blog post. Now closed. Gorgeous fabric! and your quilt is just lovely! So pretty Jemima! Liberty fabrics always make me smile and this collection is one of my favourites. 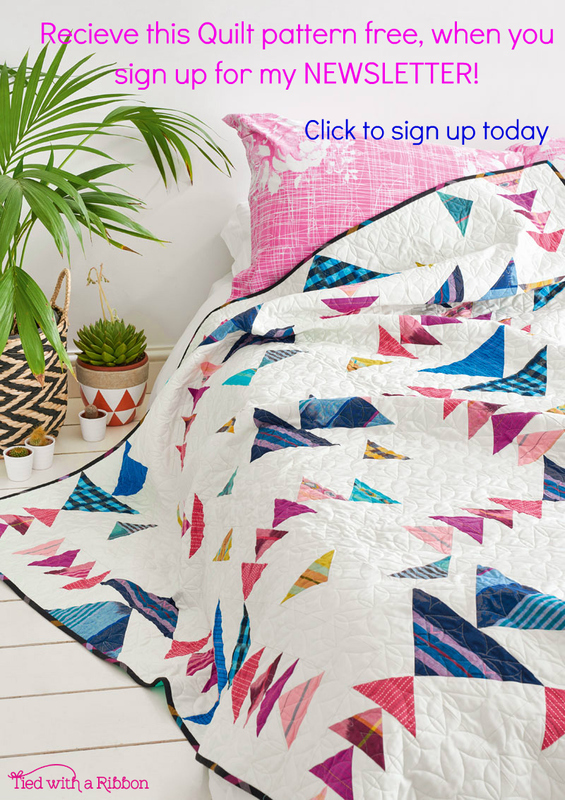 Beautiful quilt and I just love these Liberty prints! The colours just sing! Wonderful giveaway!! Love the mint Betsy too. The whole collection is exquisite! Oh, my, this is SO lovely. That is such a beautiful quilt! 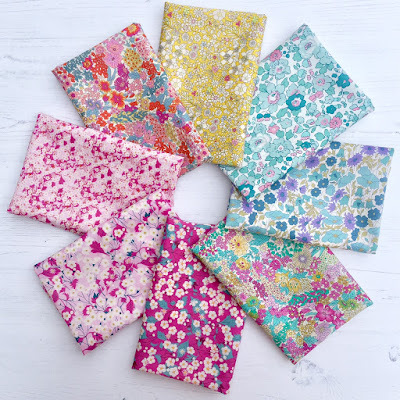 the Liberty fabric is wonderful stuff! Love the beautiful Liberty fabrics as well as your quilt! 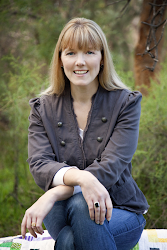 I have just found your website, so excited to find like minded people and I live close by. I love these fabrics... oooo the possibilities. Lol new at this blogging thing. The fabric is totally gorgeous! What an amazing bundle! Thanks Jemima...here's hoping! 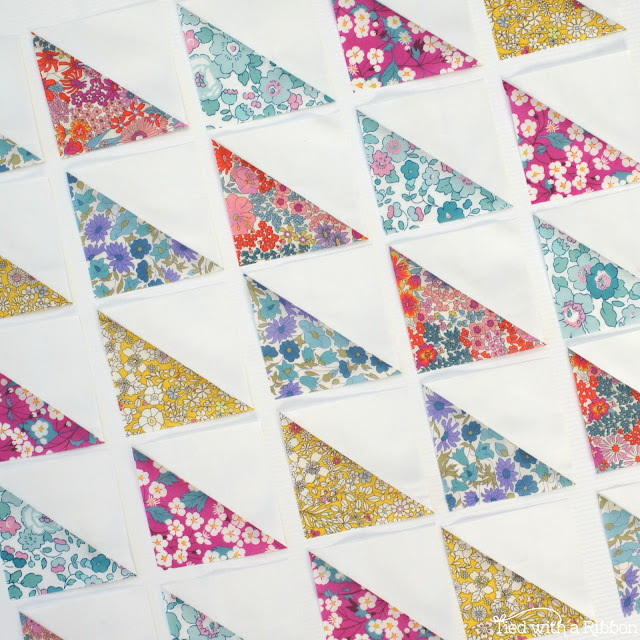 This pattern and liberty fabric bundle would make a great baby quilt! Ooohh, I love Liberty fabric! Thanks for a chance to win this beautiful bundle! 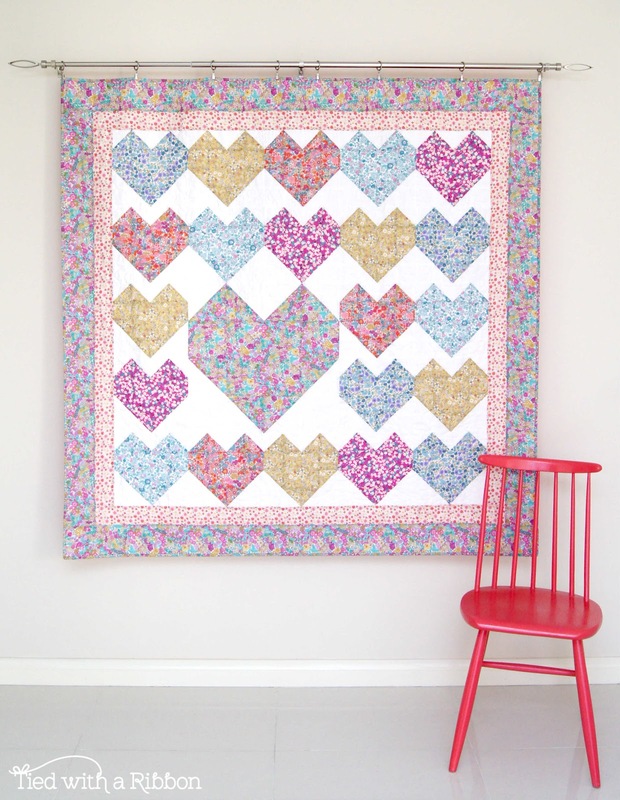 I love all the things you did with the Liberty fabrics. I'm fond of using the corner snippets for small mini quilts too. What a great giveaway! I would love to win it. Thanks for your generosity. I was recently in England on a trip and became infatuated with Liberty of London fabrics while picking some up for a dear quilting friend! I would LOVE to win this and start on my Liberty journey! Thanks so much for offering this. These are so pretty! Thanks for the giveaway. Thank you for the chance. Love Liberty! Just beautiful! The fabrics and your quilt!!! 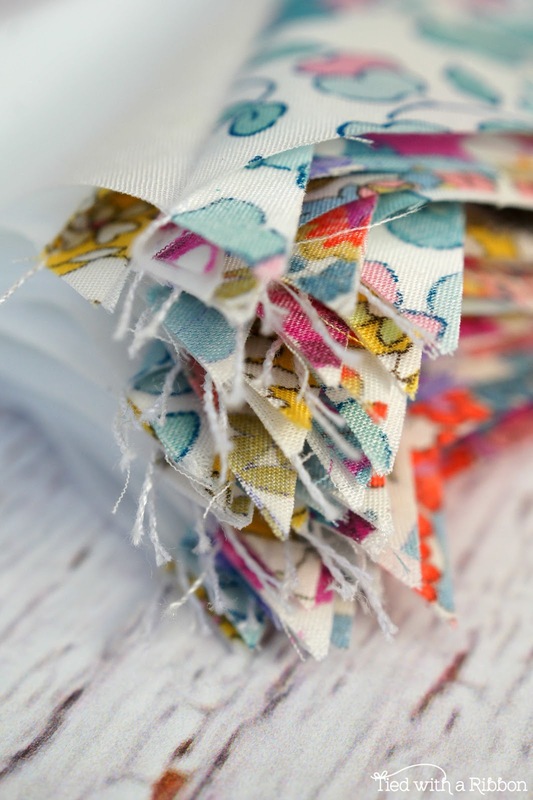 These fabrics are so lovely, and the pattern you chose really sets them off! LOVE Liberty and your quilt looks great!!! Thank you for the offer! They are so beautiful and would look great in a hexi quilt!! Golly this quilt is just so beautiful in those Liberty prints! Of course I'd love to win this collection! I love your quilt! Beautiful fabrics! I love love love Libert fabrics, but sadly I have never bought or quilted with it! Hope that all changes with this beautiful bundle! I feel so happy looking at those gorgeous fabrics! These fabrics are beautiful. I have not worked with Liberty fabrics before. Definitely plan to in the future! I was just at Liberty (made my husband go into London from the country, specifically to go there, while on vacation from the US!!!) I bought some fabrics but not enough to make the quilt I want. Thank you for doing this! 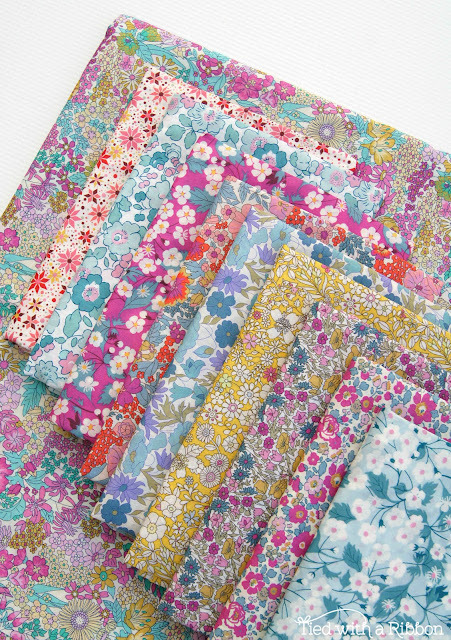 These Alice Caroline fabrics are so pretty. They really work well for the scrappy designs that I like so much. OH what a beautiful group of fabric! I love them all! 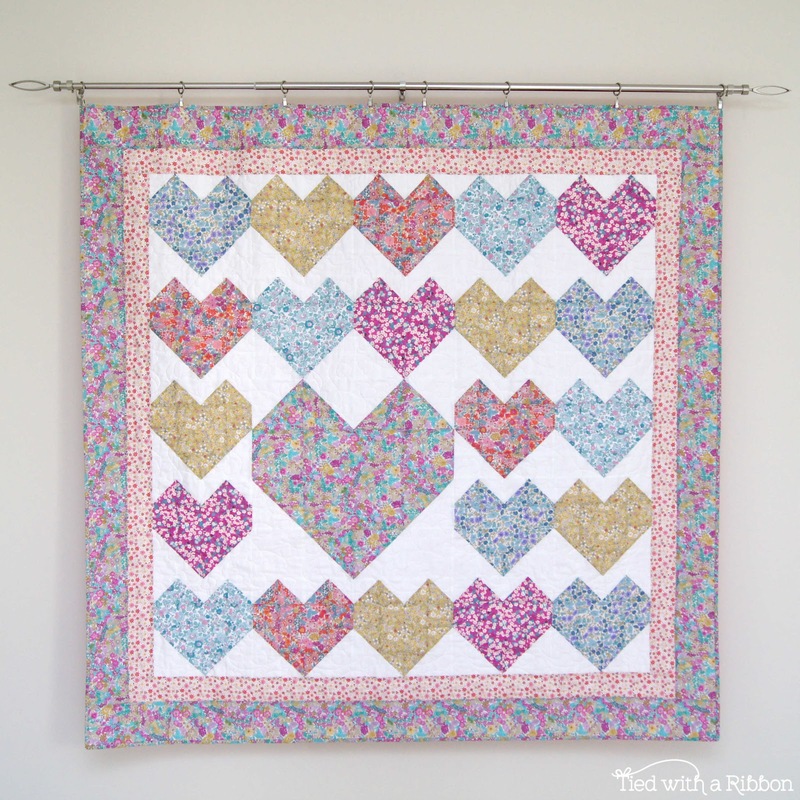 Very pretty fabric, love the Love Letters quilt! Oh so beautiful! Love Liberty and these are simply divine!!! So gorgeous! Thanks for the chance to win some Liberty of my own. 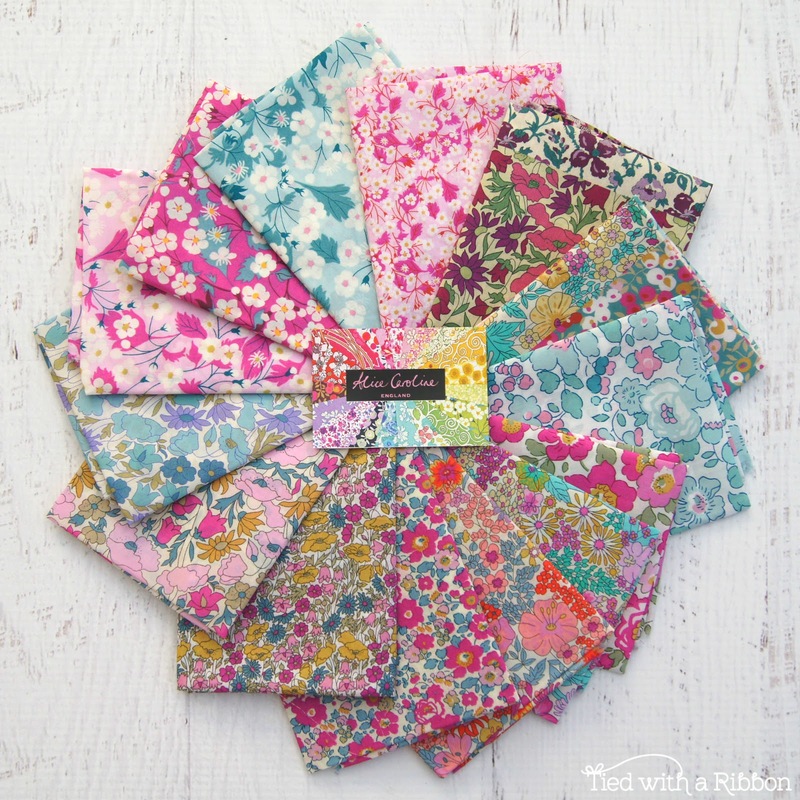 I am in love with Liberty fabrics too!! Crossing my fingers!! Such a sweet pattern to showcase these lovely Liberties. Such a nice giveaway! Perfect fabric for your pattern! 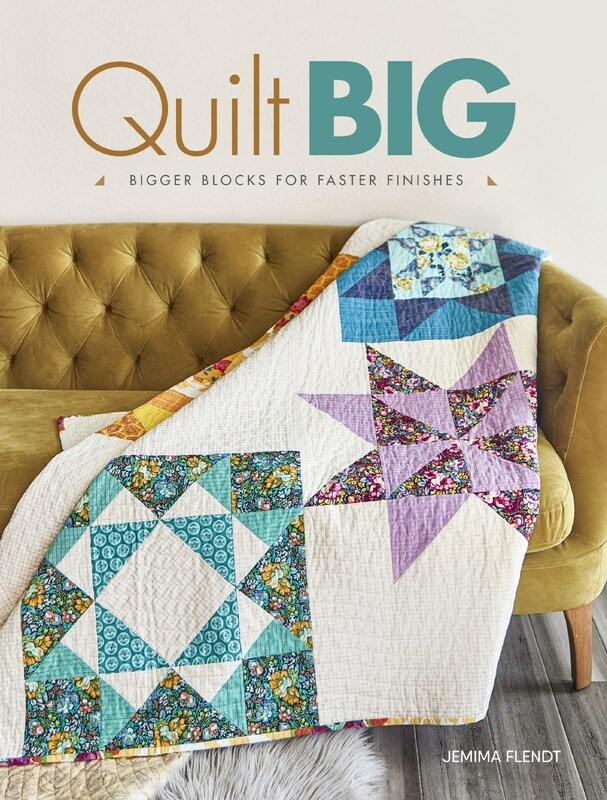 Oooh, I love this quilt and these prints! lovely liberty prints. The wheats are delightful! For the love of liberty "swoon"
What a lovely bundle of fabrics! Thank you for sharing. Such lovely fabrics! That is going to be a stunner when you finish! You're so generous to share! I am sew in love with these prints. I'm slowly adding to my collection so I can make my Sun Bonnet Sue quilt! Just started collecting Liberty. A friend gave me a fat quarter bundle as a thank you gift (very generous!) and I've been in love since. The tana prints are beyond beautiful and I would love to win! Thank you for offering this giveaway. Oh Jemima .... my heart is singing as I look at the beauty of these little Liberties!